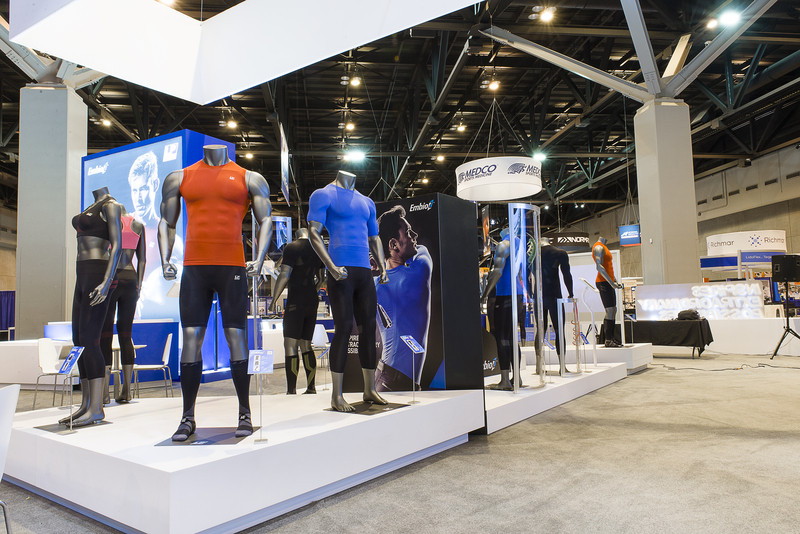 LP launched our latest technology and high performance products at the 2015 National Athletic Trainers’ Association Clinical Symposia and AT expo. We not only put our force into injury prevention, but also inspire extraordinary possibilities and help athletes reach peak performance. Thanks to amazing products and vivid booth design, LP attracted a huge number of visitors and received great feedback from professionals. EmbioZ women’s apparel makes use of five technologies. The Power System and Power Band provide targeted support for different body parts to keep the body in the right position. The Seamless Tech design and Comfort system increase overall comfort. Meanwhile, General Compression can improve blood circulation and delay fatigue. EmbioZ socks are designed with special heel straps informed by kinesiology theory. We have developed both short socks and long socks. The unique spiral Power Band of the former can enhance sensory perception and the Gradient Compression design of the latter can promote circulation, increase metabolism, and reduce excessive muscle vibration. These unmatched innovations offer the most complete technological experience and outstanding performance. 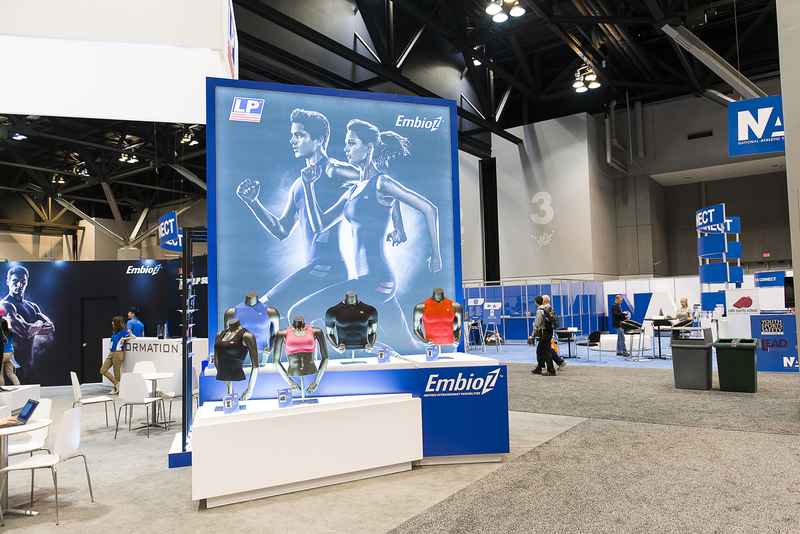 LP also held a three-point-shooting contest during the three days of the show, and provided a full set of EmbioZ performance apparel for the winner. More than 100 visitors took the challenge to win an EmbioZ set and 10 winners were successfully awarded one. LP keeps innovating new technologies and products for athletes, so keep your eye on us. We look forward to seeing you in Baltimore next year!